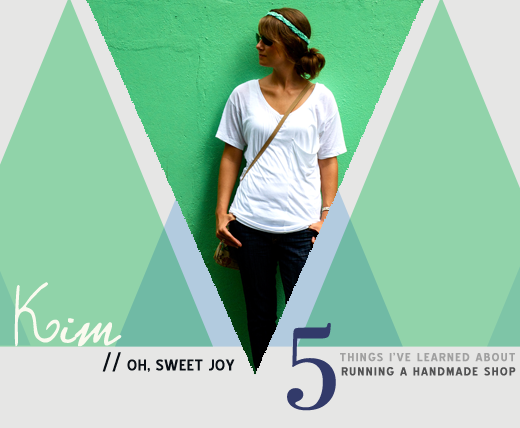 I'm over here today sharing 5 things I've learned about running a handmade shop. 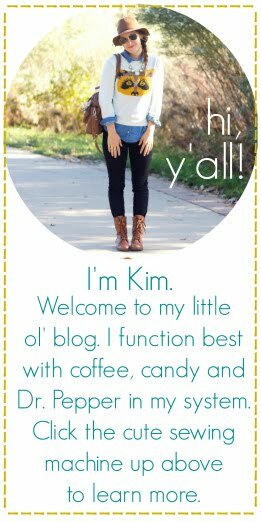 I just went over and read your guest post! Love it! I wrote a comment over there about the treat yo'self bit. What I wanted to say here is that I clicked the bit about how to increase your sales and was reading the part about wearing your own products and being more bold when someone compliments you. I am terrible at this and my boyfriend picks up the slack much like your husband, I really appreciate it, but I know it's something I need to work on. I feel better though knowing I'm not the only one being shy about my handmade items. I like what you shared. It was helpful helpful! and the green hat in the picture. did you make that? I am so glad that you shared this! I have been going back and forth about starting my own Etsy shop!! Love your perspective on this, particularly on the narrow definitions of success. Hip hip horray to handmade!